PLEASE NOTE: This is very old and is PowerPC only, so I am no longer providing it for download. Use DOSBox directly to run BaK. 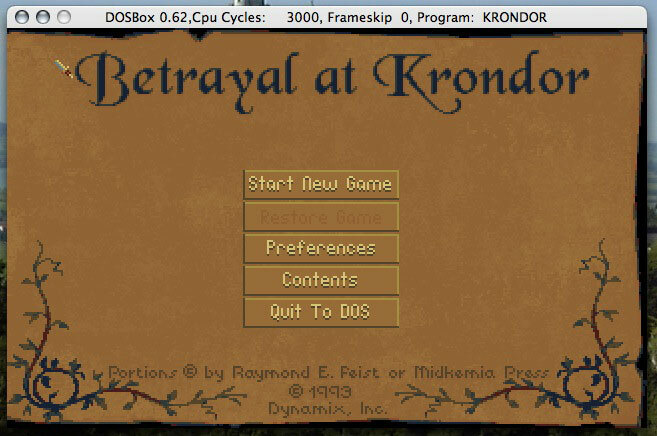 I am making available a stand-alone Mac OS X application bundle for the old fantasy role-playing game Betrayal at Krondor from Dynamix. 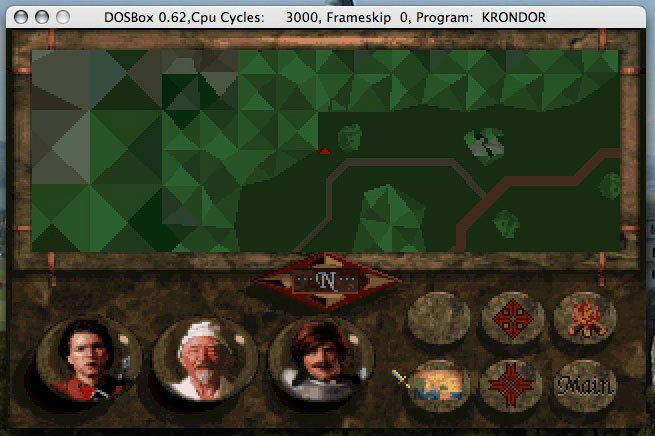 Betrayal at Krondor, which is originally a DOS game, was released as freeware a few years after its release to promote the sequel. The game naturally does not run natively in Mac OS X -- it is run transparently through the DOSBox emulator, an open-source project which creates a DOS-like virtual environment from which old games can run without compatibility problems. Unfortunately, DOSBox is quite slow, so in order to run the game with decent responsiveness, I recommend that all graphics be set to minimum quality and game sounds and music be entirely switched off. 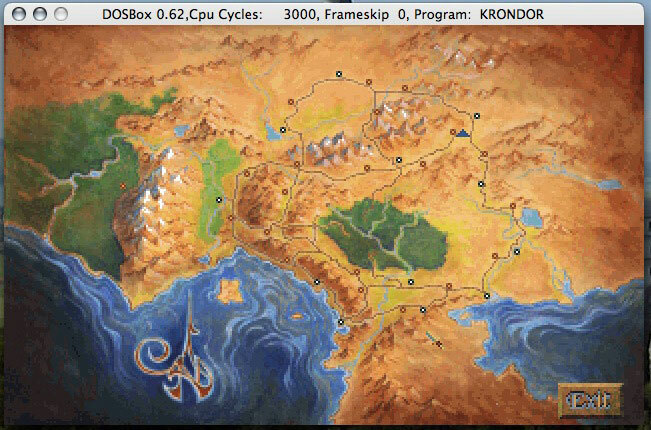 I have found the game to be quite playable on a 1.25Ghz Apple Powerbook with the DOSBox emulator set to 4500 cycles and Frameskip 2, but your mileage may vary. I really recommend that you acquaint yourself with the DOSBox hotkeys to change the emulator settings-- it can be helpful for toggling fullscreen mode, speeding up the emulator, tweaking etc. Please note that the game may take some time to start up, and requires Mac OS X 10.3 or later. Also, please note that I do not provide tech support for this game. If you run into trouble, you're on your own. 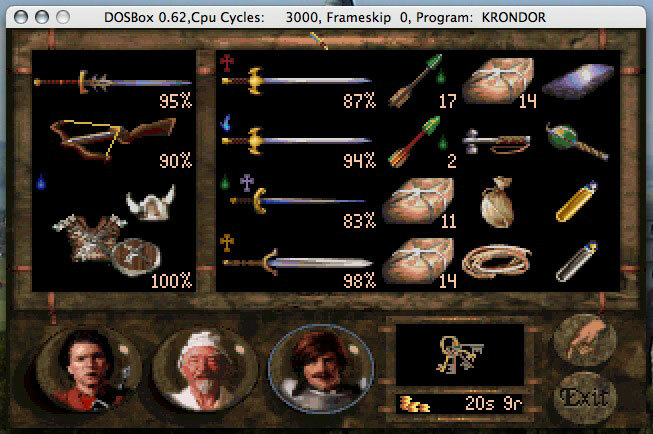 It is, of course, possible to run Krondor on Mac OS X directly through the Mac OS X port of DOSBox, either through Shawn Holwegner's excellent port or through a graphical frontend of mine called Radnor. This application is provided purely for convenience and simplicity. The Betrayl at Krondor application itself was created using Platypus, an application-wrapper generator for Mac OS X. 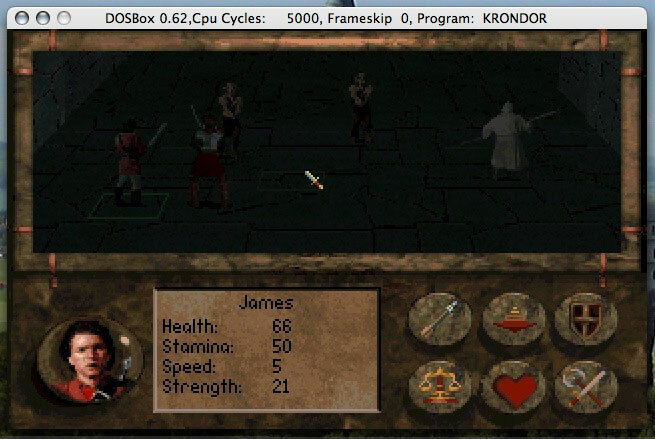 In order to access the game files themselves, you must select the contextual menu for the application bundle, select "Show Package Contents" and navigate through Contents/Resources/krondor, wherein the original DOS game files and executable are stored. I should also like to heartily recommend Eysteinn Björnsson's excellent Betrayal at Krondor website, which includes comprehensive walkthroughs and detailed information on all chapters in the game.